Every day, more than 500 children lose their lives in traffic crashes globally. Thousands are injured seriously. 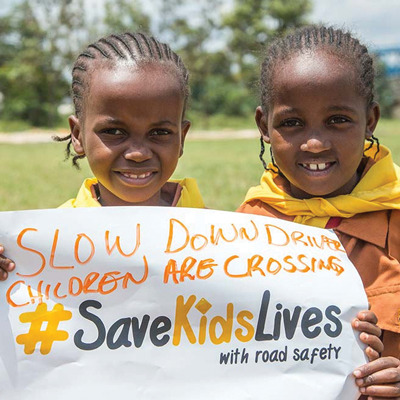 Please join Safe Kids in supporting #SaveKidsLives, the worldwide campaign to improve global road safety for children. Together, we can protect children on the roads. As part of your commitment to #SaveKidsLives, please read and support the 2020 Action Agenda and call on leaders in your country to take meaningful action to #SaveKidsLives. The Action Agenda contains specific, concrete steps that leaders can take to halve road deaths by 2020 – the worldwide target set by the United Nations.